The SEO competition tool is one of the biggest reasons Market Samurai is so famous. This module shows users, for every keyword, who ranks on Google’s top ten, and whether one can be able to beat them. At the end of the day, all internet marketing boils down to this. Regardless of how one has selected their keywords, one should be able to understand whether or not they can rank on the first page. Without this, it is unlikely that they can get useful long term results. With keyword tracker, one gets a useful alternative to the Keyword Planner by Google. The tool still sources their information from Google, so one has to provide login information to access this tool. To use this tool, basically one needs to choose the maximum and minimum number of words in the keywords. A minimum of 2 or 3 is recommended. After this, hit the generate keywords button, and view the results. After receiving the results, filter out what you don’t want with the positive and negative keyword fields. There is also an add keywords field through which one can add keywords. Unlike the Keyword Planner by Google, the planning is very flexible and powerful. Positive keywords filters can only give results with specific words. The negative on the other hand, removes results with those words. After using the various filters, one remains with a small set of keywords. After this, click on the keyword analysis button on the bottom right of the screen, which will bring out a lot of fields one can use. The rank tracker is another useful tool. 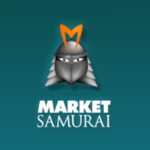 With this tool, Market Samurai offers the user a way to keep track of the search results of their website for specific keywords. As a result, one can also see whether they are progressing with their SEO keywords. This tool is resource extensive, and the developers use a paid outside service for this data. As a result, the standard version of Market Samurai restricts it to 10 keywords. Users who need more can choose to pay a further monthly fee. However, most bloggers and web masters will often find this limit enough for their needs. This is a simple and visually appealing tool, where the rank tracking updates automatically and shows the user where they stand for Keywords on Google. With Market Samurai, users get to have their rankings tracked which means they are given the chance to identify the impact that the keywords are making. Collecting data from search engines, the tool is able to bring the relevant rankings to give a user the chance to evaluate the direct effect of keywords. With the digital age transforming the way people shop and access information, user platforms are numerous and varied. With Market Samurai, you can get to have the flexibility of efficiency on the different platforms which makes for a unique advantage. This increases the effect of keyword targeting which makes for a successful traffic generation module that also transforms leads to potential clients. For the internet marketers who love efficiency and ease of use, this tool is perfect in the sense that it allows a user to organize content from one window which makes for a fast and reliable process. Single window organization also aids in speeding up the entire process and limiting the downtime that is experienced due to a slow and bulky interface. The beauty with Market Samurai is that you get to have the chance to make a one-time payment and avoid the monthly payments which make for a costly expenditure process which increases the operational costs. A one-time payment eliminates the frequent brush with error messages and limited access to features often experienced with other tools. Market Samurai packs interesting and unique features which are very instrumental when it comes to building a successful SEO campaign. Tools like the monetization module ensure that a user is able to target affiliates and therefore facilitate a link establishment and building procedure which will prove successful as far as the SEO strategy is concerned. The promotion module is another feature which users can utilize in finding the places where they can be able to advertise and hence create a keyword promotion pathway that will impact the overall SEO campaign. This is arguably the most pronounced weakness that the tool has. It is quite slow and sluggish especially when it comes to the generation of keyword results and when performing the rank tracking process. This slow and sluggish operation as much as it does not limit its capacity becomes frustrating since it consumes time which would have otherwise been utilized optimizing content and traffic generation. The SEO world can only be conquered when the appropriate data and analysis setting is achieved. This is what enables users target the weakness of the competition and hence get the unexploited niche of target keywords that will increase rankings and traffic in the same wavelength. This tool fails to provide strong link building processes and competitor analysis which is detrimental in the world of SEO. With a standard usage setting, a user cannot be able to perform rank tracking which requires one to upgrade to a higher setting of platinum. This has explained by the manufacturers as being due to the extent of resource use and overall research process required for the action. Users with a standard setting are given a limitation as far as the number of keywords search is concerned. Users are limited to 10 keywords which is a significant limitation considering the capacity of the digital platform around the globe at the moment. This has also been explained as due to the intensive resources needed to perform the effective and quality searches.